Today I used My Digital Studio Summer Smooches download as the base for this card. Summer Smooches promotion/products will be available from April 1 - 30, 2012. As of April 1st, you can get your Summer Smooches too with this special limited-time offer. 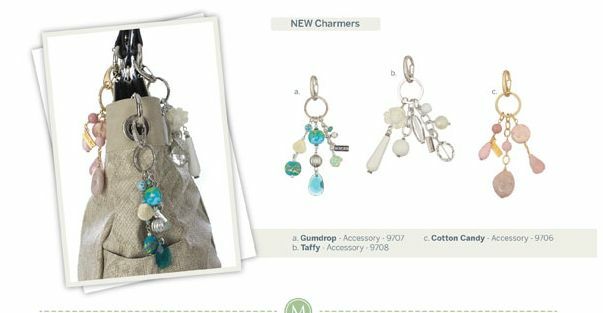 Purchase brand-new coordinating products from the 2012-2013 catalog's Summer Smooches suite months before the catalog debuts. To read more about this promotion .... CLICK HERE .... it shows all the products that will be available. Taking a quick break from Stampin' Up! today to show you the new releases from Miche for April 2012. 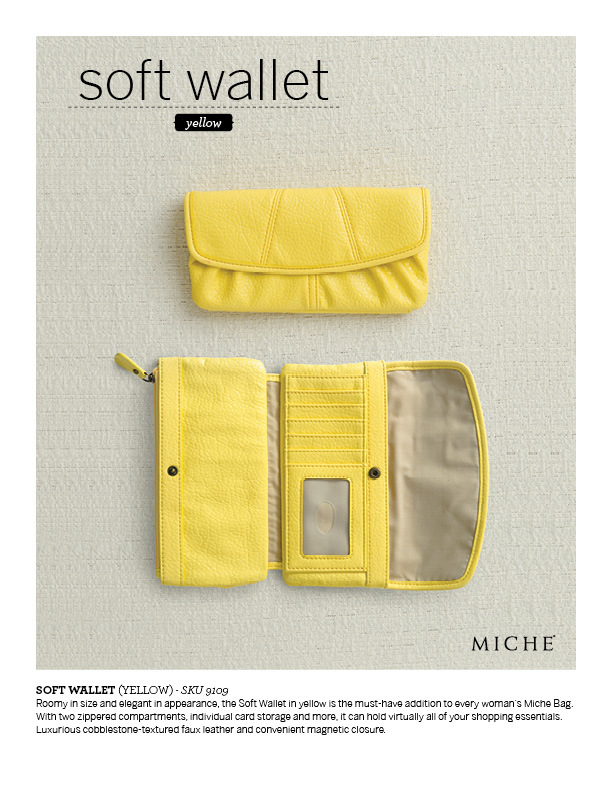 If you would like more information on these products, please visit my Miche blog: Perfect Purse For You. 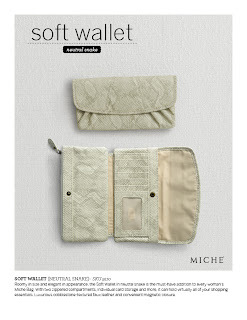 If you would like to purchase Miche products, please stop by my Miche website and click on SHOP. 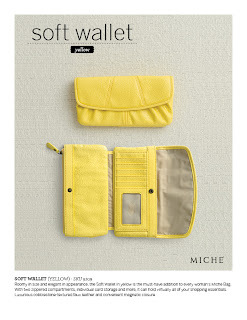 Thank you for letting me share my Miche passion with you also. Stampin' Up! samples will be back here tomorrow. Have a wonderful day whatever you do. Always wonderful to see new My Digital Studio Downloads .... the latest are now available and may be viewed HERE. Sale-A-Bration is almost over ... just a few more days remaining since it will end on Saturday, March 31st. Don't miss out on this great opportunity to earn FREE product with every $50 Stampin' Up! purchase (before tax & shipping). It has been a highly successful campaign again this year. Thank you all for your orders. CLICK HERE to place your orders. Stampin' Up! will announce on April 15th, 2012 the stamp sets that will be retiring and will NOT be in the new catalog that will premiere on June 1st. These sets will be available until the end of May 2012. Stampin' Up! will announce on April 25th, 2012 the Retired Accessories/Decor Elements that will be retiring and will NOT be in the new catalog that will premiere on June 1st. These items are will ONLY be available while supplies last. They are sold as a first come, first serve basis. Items have been known to sell out immediately. That means these colors and anything associated with them (Classic Inks, Refills, Card Stock, Ribbon, Stampin' Write Markers, Designer Series Papers, Buttons and more will also retire. If there are any of these products you know you will want, I highly, highly recommend that you order them NOW so you don't miss out. As these five color retire, 5 new ones and their coordinating products will be introduced. 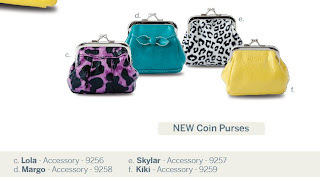 In Colors stay in the catalog for two full years before retiring. Anyone who has placed an order thru me or thru my Stampin' Up! website from July 1, 2011 thru the end of May 2012 will automatically receive a FREE copy of the new Stampin' Up! Idea Book and Catalog 2012 - 2013. It will arrive towards the end of May. It is my gift to my customers as a way to say "Thank You" for using me as your Stampin' Up! Demonstrator. The new catalog will be active as of June 1, 2012 and will run thru the end of May 2013. As a demonstrator we pay for all of the catalogs and mailings to our customers. Stampin' Up! does not "give" the catalogs/mailing to us even when they are mailed from Stampin' Up!. This was the 2nd card project we did at class this weekend. 1. Score the 5 ½” x 8 ½” Very Vanilla card stock at 4 ¼”. Crisply fold. a. Attach Pear Pizzazz pleated ribbon to embossed piece. b. Attach to card base. 3. Stamp teacup and sentiment using Early Espresso Classic Ink. a. Punch out sentiment – attach brad – then attach to ribbon with dimensionals. b. Cut out teacup with scissors – leave inside handle alone. i. Using liquid glue .. put glue on side & bottom back of teacup then attach to card base. Press firmly. Allow to dry. ii. Fold in bottom end of tea bag, slide behind teacup. Had such a great time teaching classes on Friday and Saturday. This is one of the two projects we did. 1. Envelope … Peach Parfait Card Stock (8 ½” square) … Score at 3 7/8” on all four sides. Assemble envelope using Sticky Strip. 2. Card Base … Peach Parfait Card Stock (5 ¼” x 10 ½” ) … Score at 5 ¼” and crisply fold. b. Using Big Shot and the Scallop Heart Framelits, create the head. c. Assemble and attach ears. Then using SNAIL attach to card base. i. Attach tongue using Multipurpose Glue. ii. Attach mouth area, overlapping in the center. iii. Attach nose, make sure the top is a bit above the mouth area. iv. Assemble eyes, then attach to bear head. v. Using white gel pen, accent eyes and nose. vi. Using black Stampin’ Write Marker or black pen, dot the mouth area. When you use our embossing folders, you are adding texture to your card. You can emboss the full card front or a very small piece. Let your imagination be your guide. You will need your Big Shot Die Cut Machine to do this embossing. It can be done on any color of card stock. Be careful tho using Designer Series Paper (DSP) as the embossing can cut thru it if it is thin. Are you wondering what Fleurettes II are? They are handmade crocheted flowers to add a delicate touch to any project. You can dye them with our Class Ink to create flowers to coordinate with Stampin' Up! 's exclusive colors. For my cards below, I accented them with a Flower Brad and added color using the Stampin' Write Marker. Once the brad was in place, I attached the Fleurettes with dimensionals to my card. This is the 2nd card we will make at class this weekend. I will have more information on it after my classes. 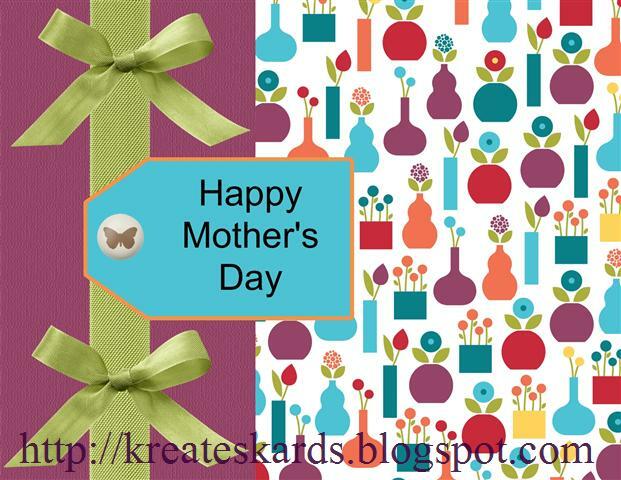 The inspiration for this card came from Lisa Lange (StampingLisa.com). Thanks Lisa. I stamped the teacup image, then cut it out and glued it carefully just on the edges so that the tea bag could be fit into the cup. I like the texture of the embossed background behind the teacup and the addition of the pleated ribbon. 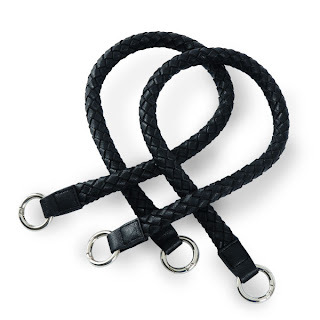 Thought this would make a great gift idea too. My Mom and Grandmother would of loved this as a Mother's Day card too. I can see it as a Get Well card also, just would switch out the sentiment. Not too long ago Dawn Griffith had a similar bear card on her blog. I found that I got the best cuts with my framelits (heart collection) by cutting single layers. As a result my bears are actually put on square card base. Framelits are recommended for use with single sheet of card stock. I made matching envelopes to go with the cards too. The bears were made with heart framelits and paper punches. I will have complete information after my classes this weekend. This is one of the class projects. This card could be used for many different occasions. Card envelope is 5 1/2" x 5 1/2". Double Rainbows above our home yesterday. What a day we had today. The weather was so strange. We had rain, then hail, then rain. We drove to the mall and when we came back out the cars looked like they had been in the snow. It had hailed so much that it had accumulated on the cars giving the impression of snow. We had thunder and then we had torrents of rain. A one point we peeked out the window and realized we had a gorgeous rainbow up over our home. I was working on card projects, so the camera was out and ready to go. We grabbed jackets and an umbrella (to protect the camera) and I took the photos above. I think this is the first time in my life that I have personally seen a double rainbow. It was an amazing experience that I just had to share with all of you. Hope you enjoy the photos. May your life be blessed with many rainbows too. The floral accent on this card is a Fleurettes II - which are handmade, crocheted flowers sold by Stampin' Up!, item #115604. They are white and I added a bit of color to it using a Stampin' Write Marker. It was attached to the card with a dimensionals. Borders for both cards were created suing the Lace Ribbon Border Paper Punch, item #1223262. I used 1" squares of Old Olive Card Stock to accent my Teeny Tiny Wishes stamp "Thinking of You". The Designer Series Paper is a SNEAK PEEK and will be available in April for one month only. The card could be dressed up even more with the addition of a bow and pearls or rhinestones. We are getting so close to the end of this promotion. Please don't delay in placing your orders thru my website. This is absolutely THE BEST promotion Stampin' Up! does each year in my opinion. 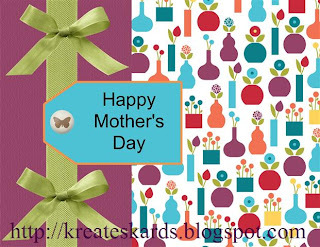 It is a great way to stretch your paper crafting dollars and earn product at no cost to you. All the details are in the brochure. It is so interesting to see what different ideas you can come up with using the same basic format. All of the cards used the 5 petal flower punch, leaves, and the framelits label collection, yet each one has a completely different look because of the difference in card stock and color. 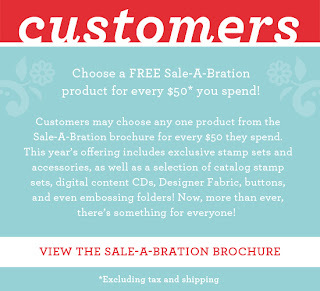 Just a reminder too that Sale-A-Bration ends on March 31, 2012. Don't miss out on this GREAT opportunity to earn products from Stampin' Up! at no cost to you. 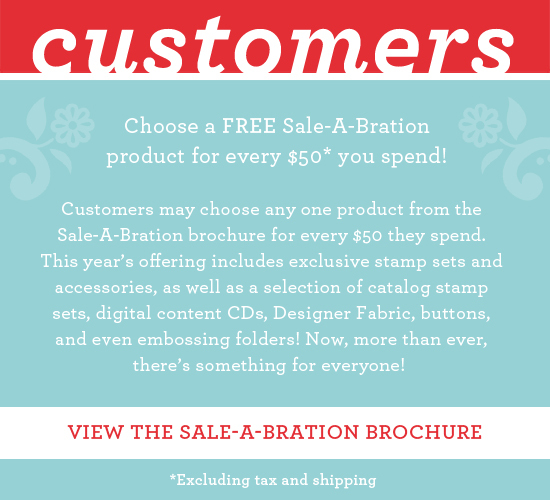 Sale-A-Bration catalog is HERE. Check out the lates My Digital Studio (MDS) downloads are HERE. I had never seen directions for a Flip Flop Card before. I want to thank Cristy Butzen for her directions and inspiration. The design of this card was my own idea, but the scoring and use of the framelit for the Flip Flop came from her directions. The flowers were accented with rhinestones that I had dyed using Sharpie Markers. I have a mini-tutorial from last year if you would like to see it. I love the versatility and uniqueness of this card. Hope you do too. Back on February 10, 2012 my blog post has more versions of this card. I taught a class on Friday where we made this card. The solid black background you see in my photo above is the "negative" of the cutout design which will be used on a later card. The light tan/very vanilla is actually the background designer series paper showing thru. The black on black flocked paper is a framelit label piece. Let's start with 4 hearts. Perfect for a Valentine, Anniversary, I love You and so much more. Take 3 of the hearts and by simply placing them as above and adding in a stem with a Stampin' Write Marker, you've created a shamrock perfect for an Irish Blessing, St. Patrick's Day and more. With the 4 hearts placed as above and a stem added using a Stampin' Write Marker, you have created a 4 Leaf Clover perfect for wishing someone "Good Luck" or for St. Patrick's Day. Add a line to each heart and create a bouquet of balloons perfect for a birthday, anniversary, I Love You, and more. Hearts are not just for Valentine's Day and can be made in many different colors. They come in so many sizes too from tiny to quite large from Stampin' Up! The hearts could be embossed or stamped images to add texture and effect. What would you make with a heart(s)??? Any ideas???? We have another box of cards all packed and ready to ship to our unit of soldiers in Afghanistan. We have at least 300 cards with envelopes in the box. The cards are sent so that the service men and women have cards to send to their families and friends. While stationed in a war zone, our military does not have to pay postage to mail things home. I want to give a very, very special thank you to Maureen, Diane, and Joan for all of your help. You are the BEST !!! The four of us meet once a week (sometimes more often) to work on these cards. It is a wonderful sight to see when they arrive with packed cases of card stock, embellishments, adhesive and so much more. We work on cards up to 6 hours when we get together. This box will be in the mail this week!!!!! We have another box started ... let the card making begin. CLICK HERE for the latest My Digital Studio Downloads.